Ace Star Limo Hire Nottingham is proud to offer the most exotic selection of limousines at the most affordable prices. We specialise in Limousine hire for Nottingham school proms, a Nottingham hen party or limo hire for a wedding party in Nottingham. Our limo hire service can be tailor made to suit your individual requirements. Our Nottingham Limo hire range includes the H2 Hummer, Porsche cayenne, Audi limo, Lincoln Town car Limousine and the ever popular Chrysler “Baby Bentley” limo for hire in Nottingham. All our limos are fitted with sumptuous leather interiors to ensure your comfort and relaxation. Our limousines in Nottingham are also equipped with CD and DVD players, to be at your disposal for the duration of your journey, so feel free to bring your own music or films. Reserve your limousine now and receive a complimentary drinks to guarantee that your night gets off to a spectacular start today! At Acestar Limo Hire Nottingham we can guarantee to beat any genuine like for like quote for limousine hire or car hire and we have built a reputation envied by many chauffeur hire companies. All you need to do is to search for your limousine or prestige car of choice. Our selection of various vehicles includes Prestige Cars like the Rolls-Royce Phantom or the Lamborghini Aventador to Classic Wedding Cars to our Luxury 16-seater Hummer limousines. Nottingham has a bustling night life. With many clubs bars and restaurants in Nottingham it is extremely busy on evenings and weekends. Nottingham also has a large student population. Nottingham University and Trent University are among the highest ranked in the UK. If your planning a graduation give us a call for cheap limo hire to any of the Universities in Nottingham. Ace Star Limos in Nottingham has fully coiffed hummer limos that are fully insured and licensed to carry upto 16 passengers in luxury and comfort. 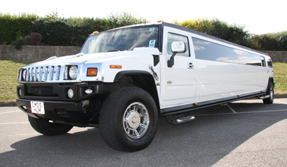 If you’re looking for prom limo hire in Nottingham, hummer limo hire in Nottingham or exotic limo hire in Nottingham you have come to the right place. At Nottingham limousine hire we can sometimes provide you with last minute deals for school proms and weddings. Our Baby Bentley limo and Pink limo are more popular for hen parties and children’s parties in Nottingham. Our Limousine hire Nottingham service promises to make any occasion memorable with complimentary drinks and fully uniformed chauffeurs. Early reservations are highly recommended to avoid missing out.